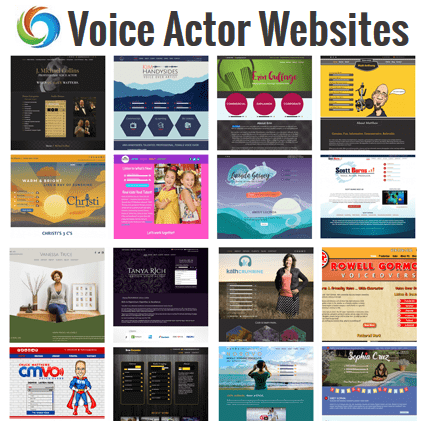 For voice actor website hosting, we recommended our friends at UpperLevel Hosting by Brad Newman. Web hosting and email the way it should be. Just 10 bucks a month. We all have things we are really good at ‐ For most of US we’re good with our voice. One thing we all need regardless of what we do is AMAZING customer service so we don’t waste our time. What we need is web hosting that just works! Our industry is very unique, so why isn’t our hosting? It’s time we had hosting that works the way WE need it to work! This is not just any hosting. It’s UpperLevel Hosting! 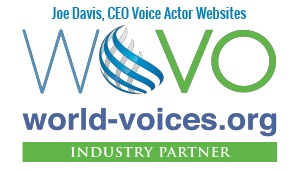 Run by voice talent and customized for voice talent! We give you what you really need and skip the lame stuff you don’t. We don’t promise TONS of space. Why? You don’t need it! What you do need is a SUPER FAST load time. So we skip the old disk hard drives and use nice new SSDs. you’ve ever had in 45 days, we’ll give you your money back, no questions asked. Totally free setup, migration and configuration with every service. In most cases we just do it. BOOM! 99.99% Uptime and all the cool tech you need that you didn’t know you needed to ask for. Just trust us. Yes we run WordPress and 325 other site tools – all with one click installers. Create and manage unlimited email accounts protected around‐the‐clock by spam assassin. problem, from within your control panel there is a 3 click integration. OK you can stop reading here and just email us already – or – if you really want all the Geek speak – here you go. Enterprise SSDs clocked at a blazing 100,000 IOPs versus your standard 150 IOPs spinning disks, see drastic decreases in load‐times and increases in all‐around performance. servers, 100% of the infrastructure is fully maintained and proactively monitored. With options for One‐Click Sitemaps, Google Website Services, Attracta, SEO Tools and Awstats a click away, you can track your growth, increase page ranks and improve your user experience without leaving the comfort of your control panel. For those tech‐savvy out there, regain control over your hosting environment with more than one PHP version to support all your sites. Select and switch between PHP versions 5.2 to 7.1 as you please. 99.99% network uptime guaranteed across all our services every day of the year. Real around‐the‐clock US based support that delivers business moving results like no one else can. Find out what the term fully managed means at a whole new UpperLevel. Experience firsthand what it’s like to not have to worry about your web hosting ever again.